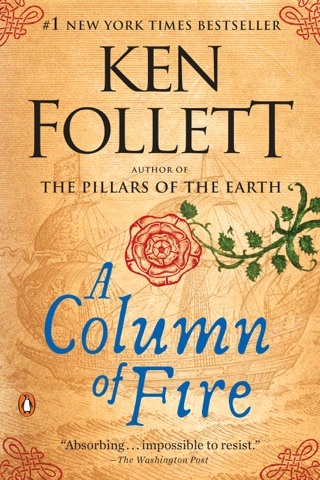 Ken Follett’s first historical thriller was a stark departure from his earlier spy novels, but from the get-go it’s clear he’s completely at home writing about 12th-century England. The epic story spans generations, tracking one man’s obsession with building the greatest Gothic cathedral of all time. 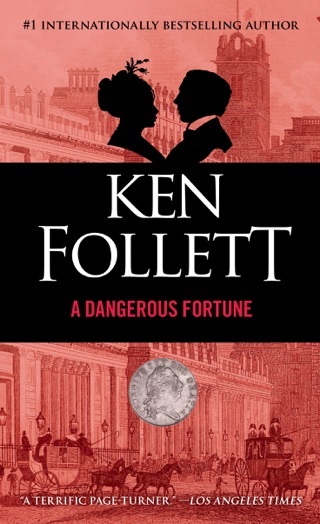 We loved how Follett brings quotidian details to life with a historian’s eye, from the stink of the marketplace to the comforting sight of turnip soup boiling over a fire. The real treat, though, is the bestselling author’s masterful storytelling, which twists and turns with great detours for romance and intrigue. 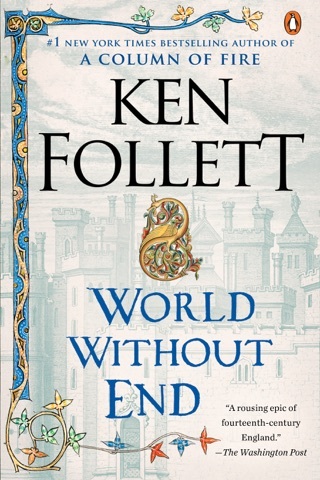 Set in 12th-century England, the narrative concerns the building of a cathedral in the fictional town of Kingsbridge. 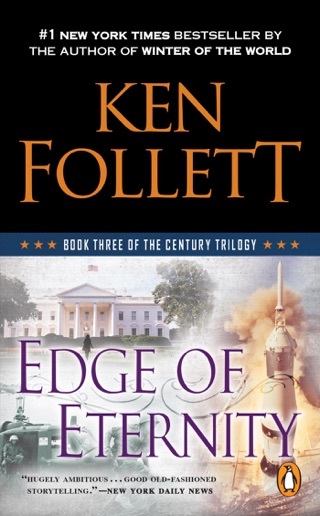 The ambitions of three men merge, conflict and collide through 40 years of social and political upheaval as internal church politics affect the progress of the cathedral and the fortunes of the protagonists. 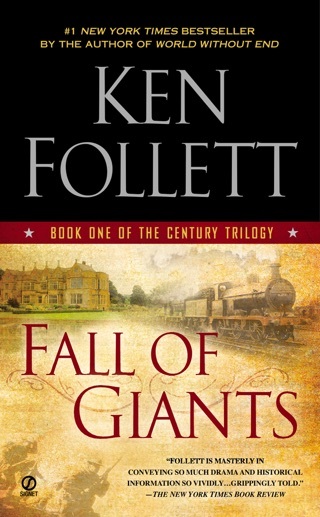 ``Follett has written a novel that entertains, instructs and satisfies on a grand scale,'' judged PW. 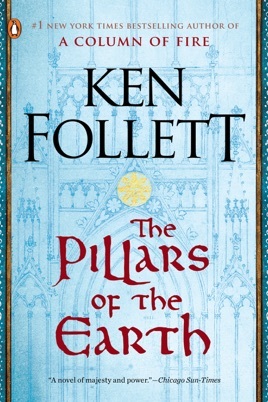 The first three quarters of this epic, centered around the building of a cathedral in medieval southern England, is riveting, power packed and suspenseful. 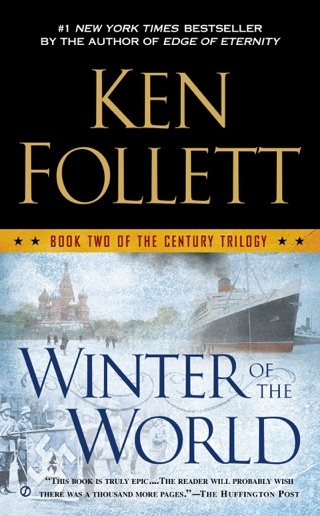 Follett is masterful in his story-telling giving a broad sweep of seemingly unconnected events that surprisingly intertwine while excelling in telling different aspects of the tale from the unique perspectives of the richly detailed and developed characters. You actually feel like you are living in this turbulent time. It is a real eye opener to the culture, architecture, religion, politics, customs and cruelty of that age. You feel a bond for these characters and their struggles for freedom, purpose, love, security and peace. The only minor disappointment, to me, is that the intensity and depth of emotion could not be carried through to the end. Yes, the last two hundred pages are filled with interesting revelations, surprising twists, interactions with mighty historical figures and a generally satisfying resolution of decades-long personal conflicts. The last part, however, in comparison to the first three quarters seems more a summary of events; it is relatively detached on a personal level. Nevertheless, the novel is an exceptional achievement with unforgettable characters, both heroes and villains, the beautiful Aliena and the demonic William, in particular. Believe it or not, the 1000 or so pages pass much too quickly. One wants to dwell even longer in this legendary time of knights and ladies, lords and peasants, priors and popes, castles and armor, builders and masons. Overall, it is a tour de force well worth your time and effort. The best book I ever read. Epic. I felt like I lost my best friend when I finished it. An ok tale with much description about cathedral building. I bought this for a vacation and was only moderately entertained.